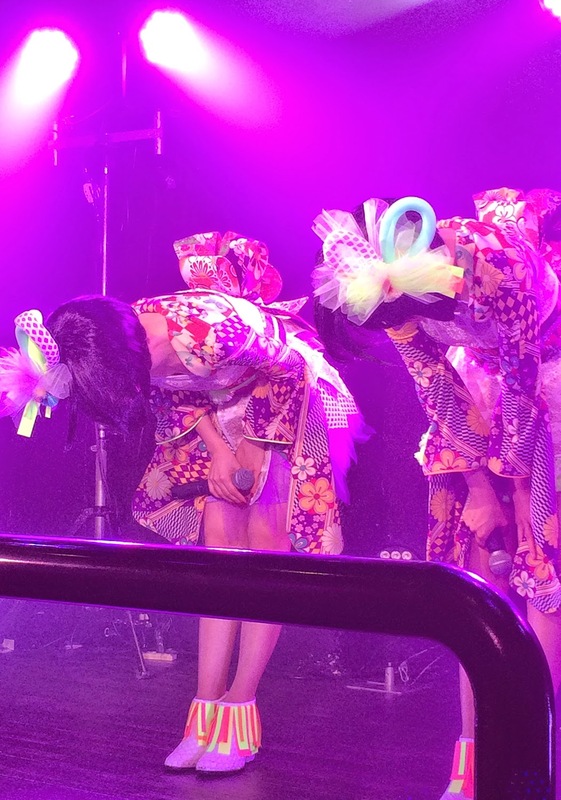 YANAKIKU returned home to Japan. Here are some of the highlights of October! 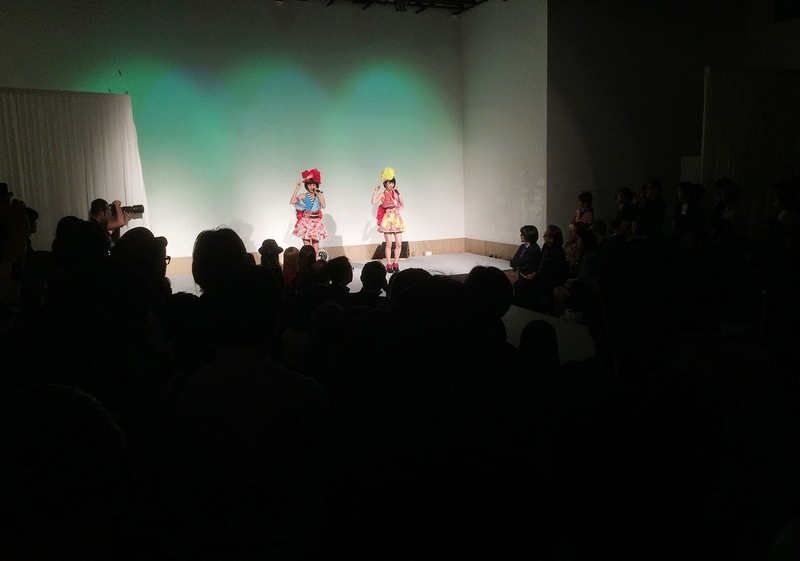 Performing at a fashion show was a first, so there was definitely a nervousness in the air. 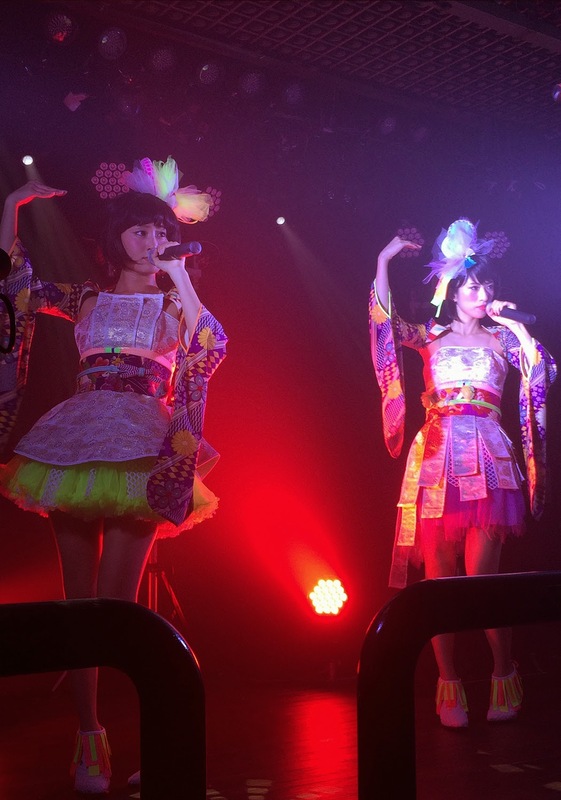 For this stage they performed “Paku Paku Kingyo” and showcased “Agaru♥Girl” for the first time. “Agaru♥Girl” is the theme song for D.U.P Mascara’s web commercial, starring one of Japan’s top models, Moe Oshikiri. 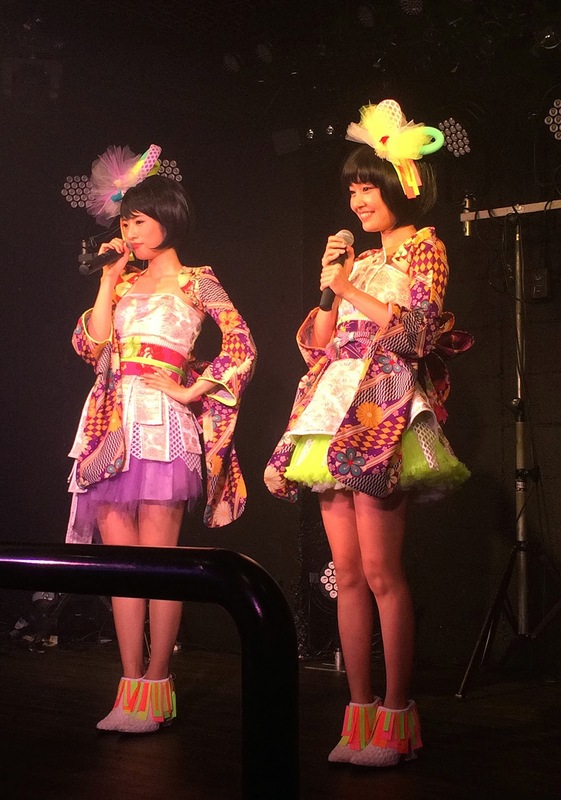 Since Ms. Oshikiri walked down a catwalk in the commercial, Yana and Kiku were asked to the same at the show. 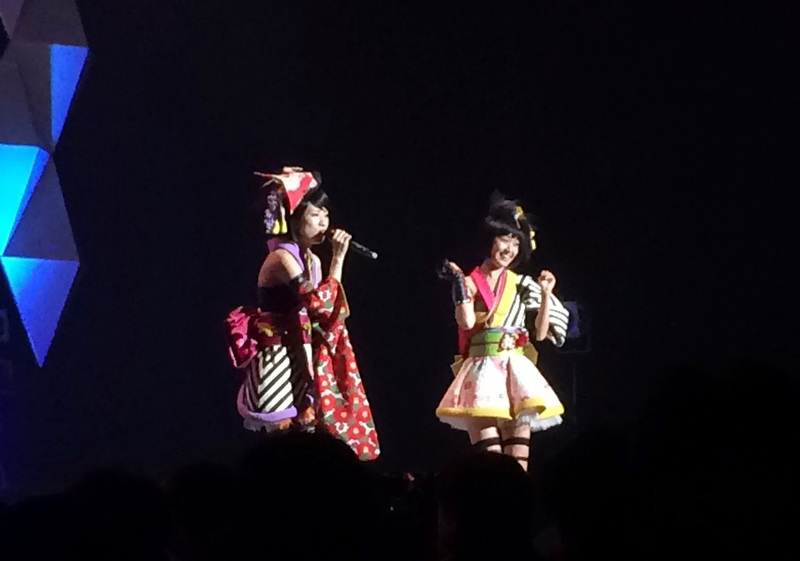 So, Kiku took right to it! 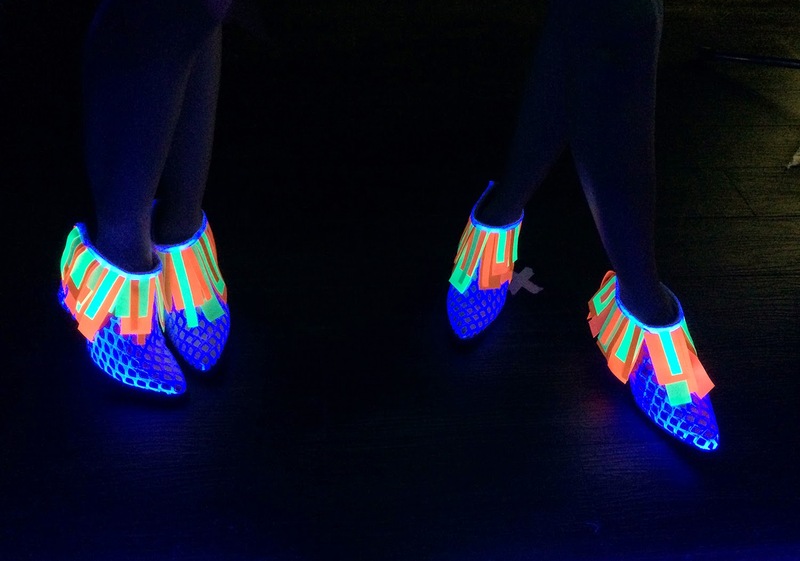 She trotted down the catwalk proudly, holding up a panel that introduced just who they were. Check out the web commercial from the link below! 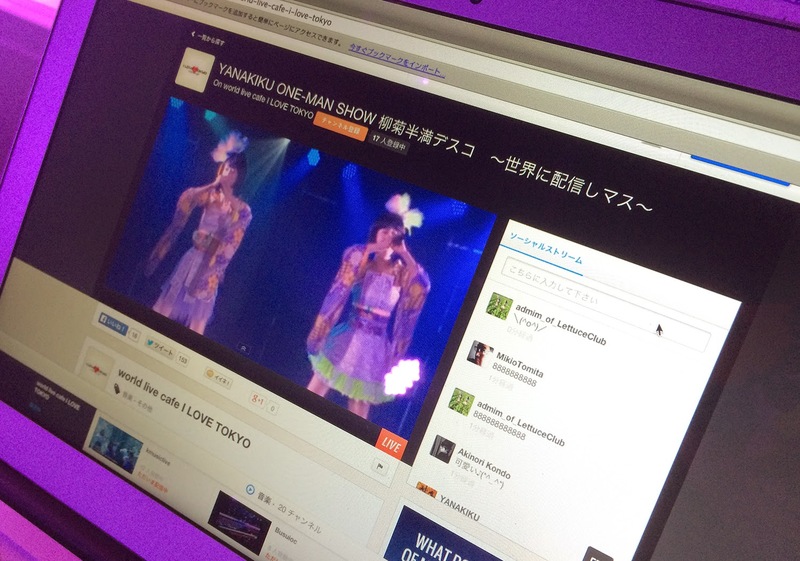 YANAKIKU held their first ever world wide U-stream event! 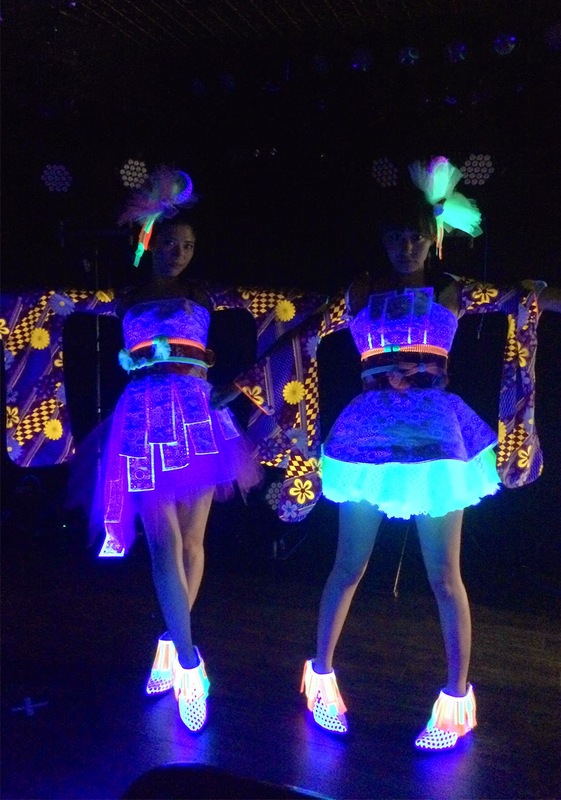 They showed off their new costumes for “Orihime”, which glows under black lights. 7PM JP Time. Curtains up! 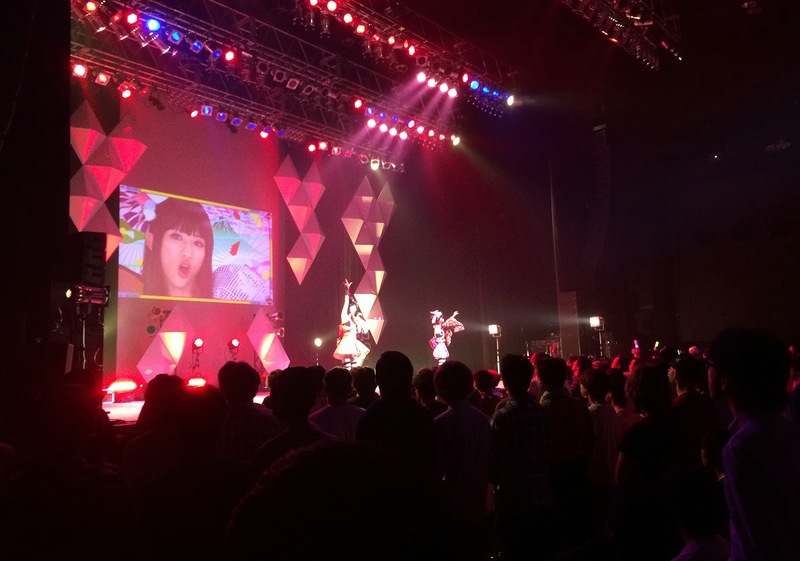 As soon as the show started, we received so many supporting comments! Since there were people from all around the world tuning in, they tried their best to navigate the show in English! 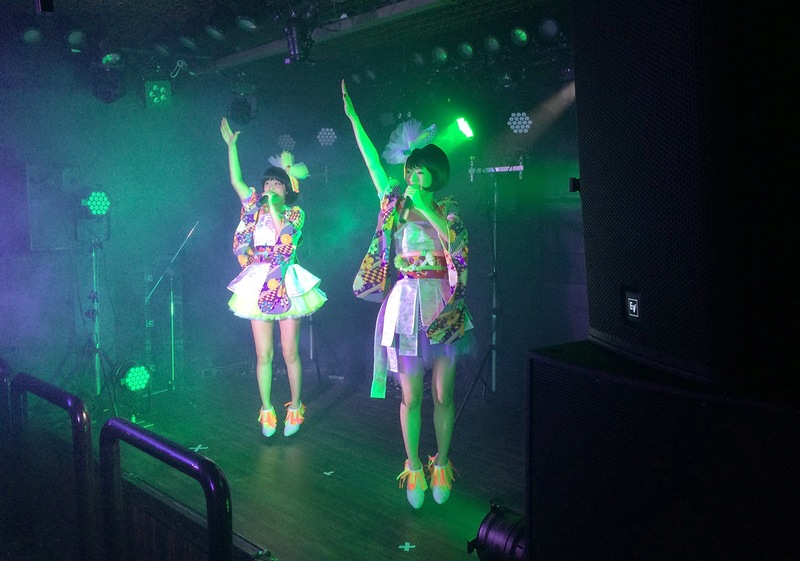 During the hour long set, they were able to perform most of their songs! Thank you to all the people who left warm comments via twitter! Here’s the lettuce pic that we sent to our lucky winner! Mr. Alex! Tune in for the next streaming event, and it might be you! And this day, Mr. OHGA came to help us out! He’s like a big brother to us. Not to mention, he’s also an awesome rapper. 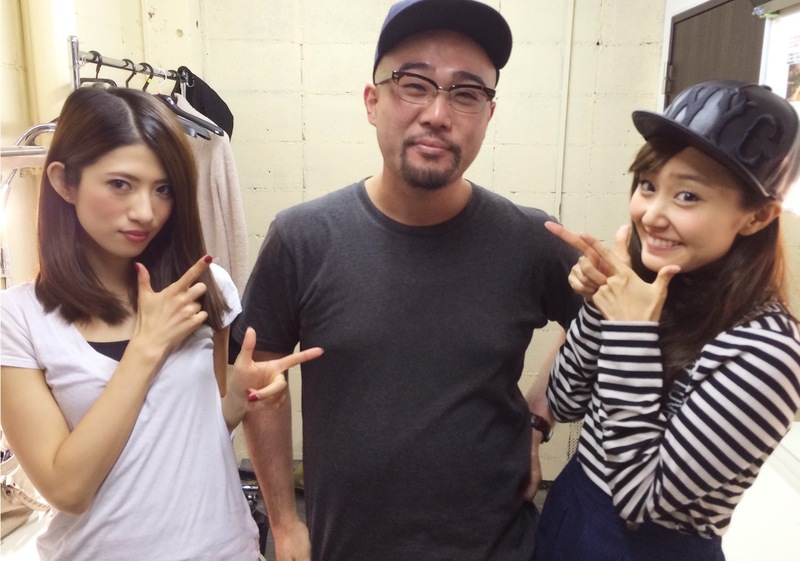 But to YANAKIKU he’s their English teacher. 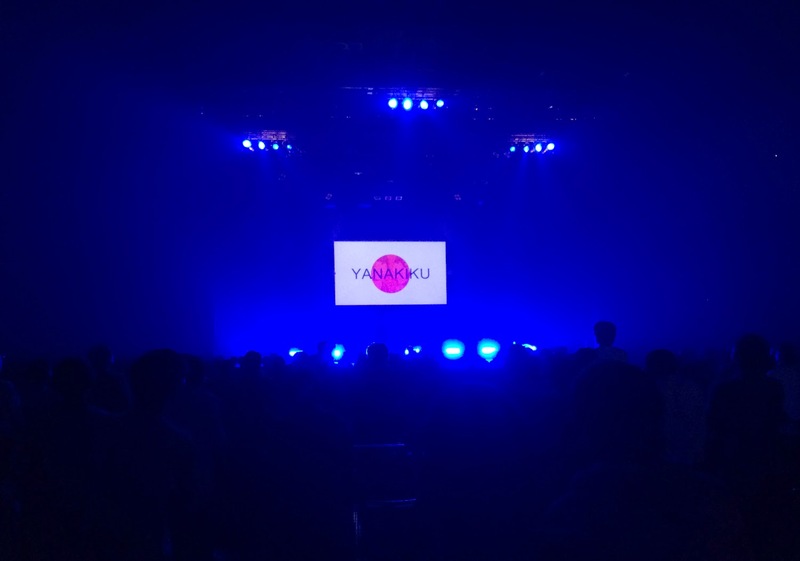 He’s also been the one translating YANAKIKU’s lyrics to English. 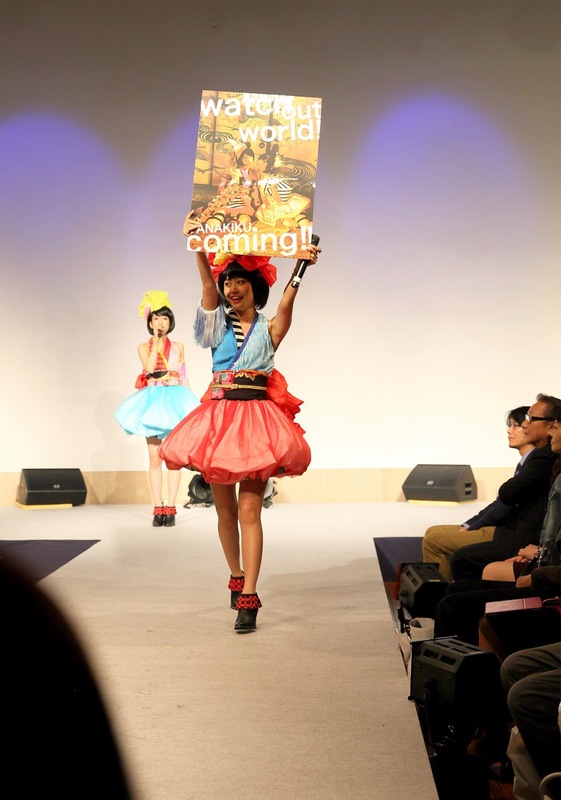 The start of the Japan Content Showcase 2014. 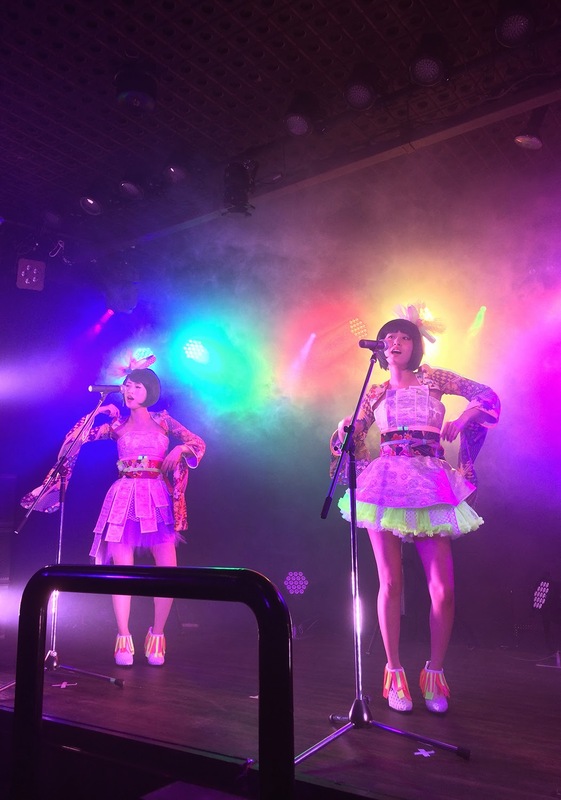 This event is one of Asia’s biggest multi-content markets that feature music, films and animation. 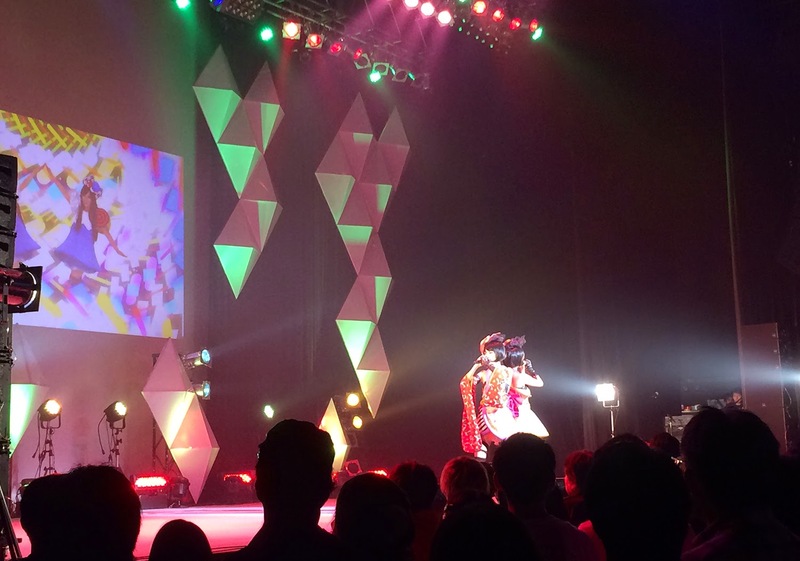 Tokyo International Anime Fair （TIAF）joined forces to put together this event. 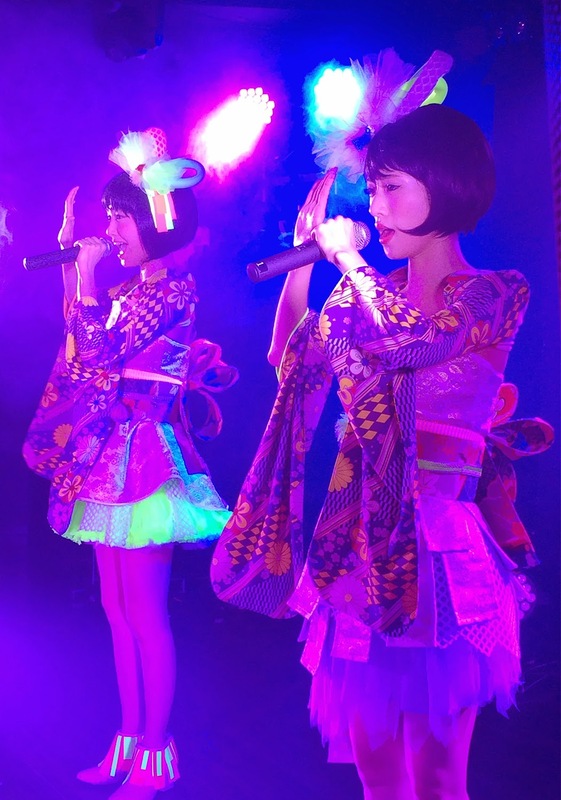 It was held at the Grand Pacific Le Daiba hotel in Odaiba, Tokyo. 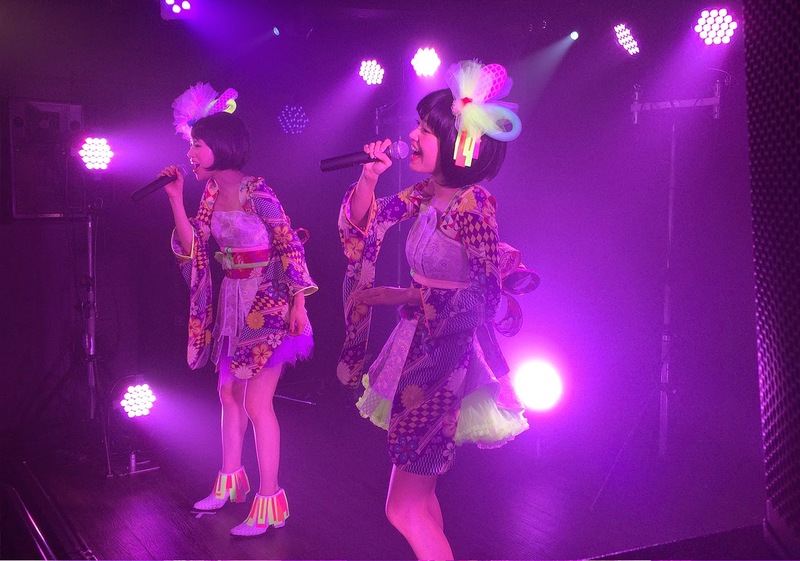 YANAKIKU’s exhibition booth was open for all three days of the event. 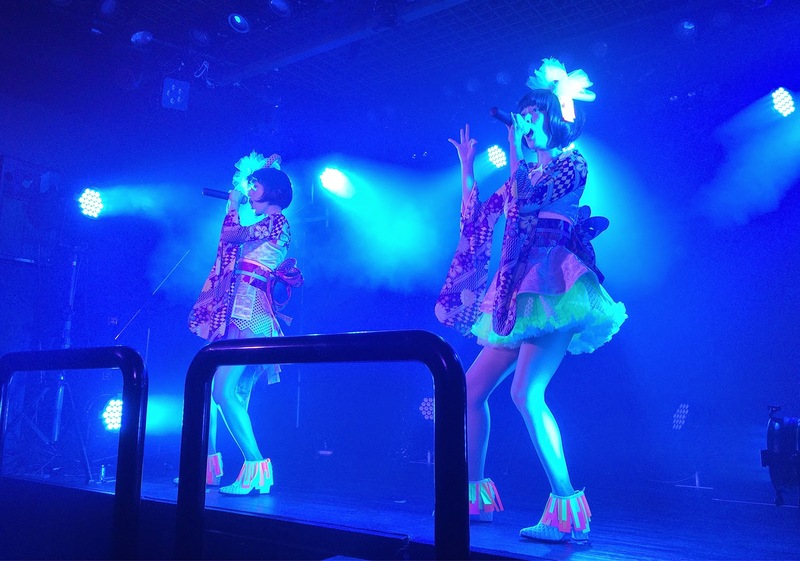 On the 22nd, the girls performed at “TIMM SHOWCASE LIVE（Anison-Idol Night）” that was held at Zepp DiverCity. For the beginning of the day, Yana and Kiku stood by their exhibition booth. This is what the booth looked like! 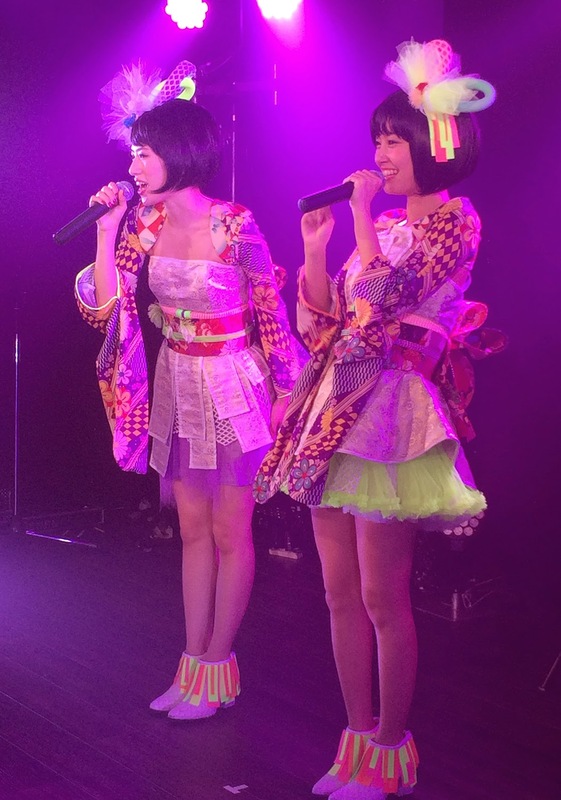 They welcomed all the guest in FUJICOS (Fujiyama ＋ Cosplay) attire! There were so many different booths at the venue! 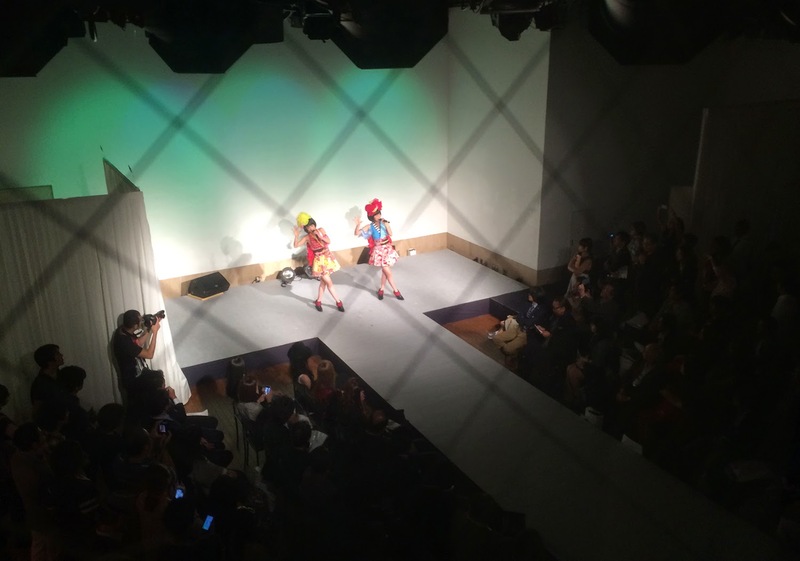 Kyary Pamyu Pamyu’s stage costume! Hero is a Japanese drama series that aired in Japan on Fuji TV in 2001. Another pic with the popular bartender from “HERO.” The sculpture was identical!!! “First Class” is a Japanese TV drama series that first aired on Fuji TV (Japan), April of 2014. The first season aired from April 19th to June 21st, on every Saturday from 11:10PM to 11:55PM. the first season. 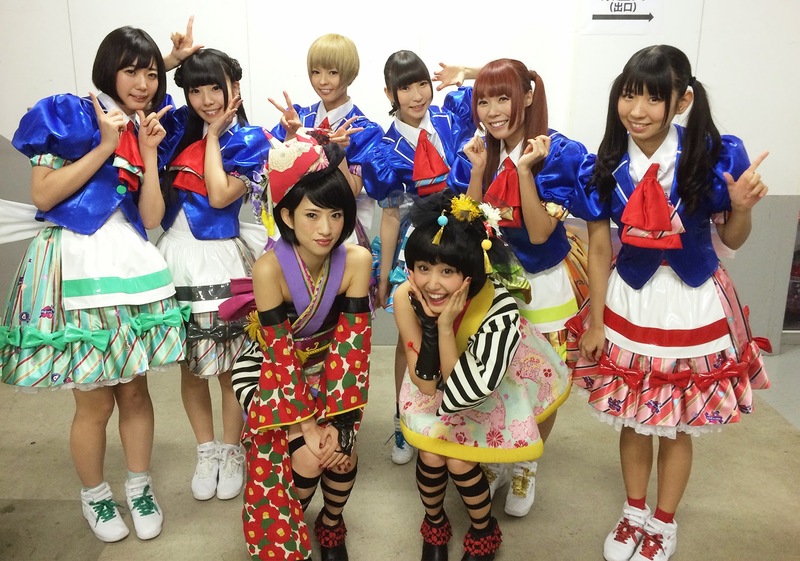 This is unprecedented in Fuji TV history. The Second season began to air on Oct. 15th, every Wednesday from 10PM. And of course we had to take a picture with the blue guy! Yup, the venue was packed with stars! 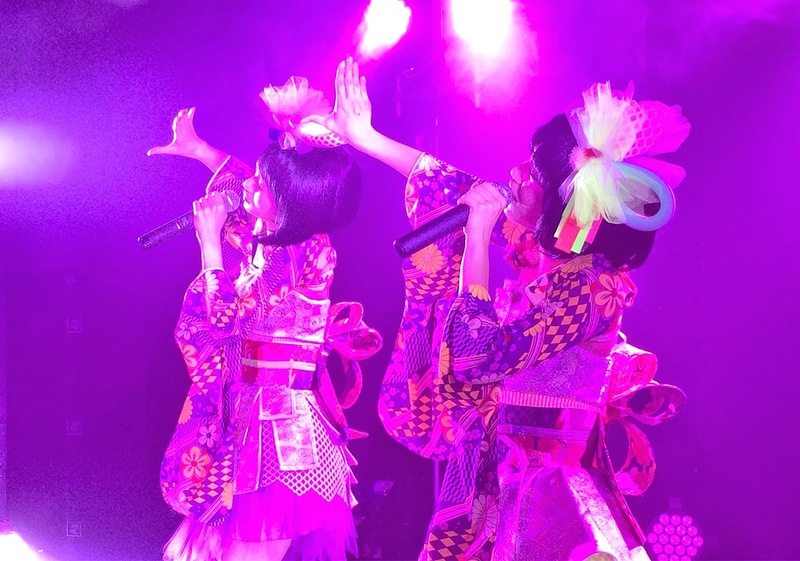 But that just pushed YANAKIKU to promote themselves harder! 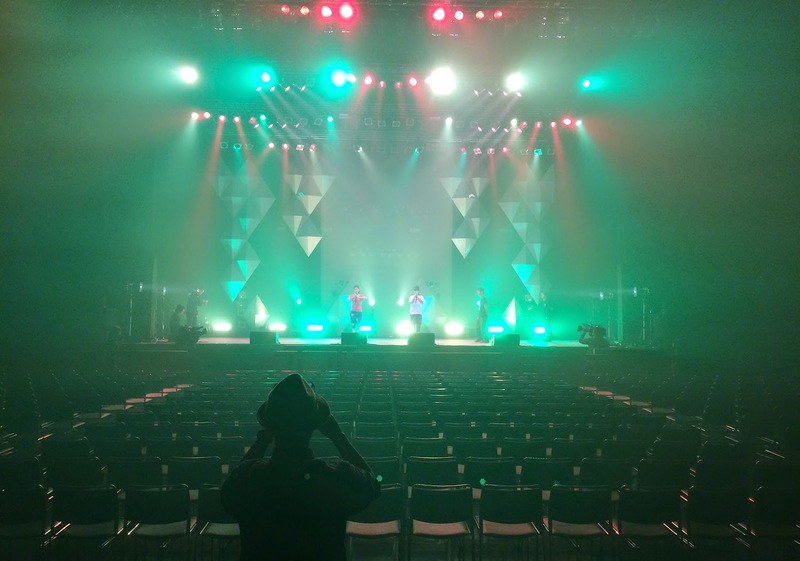 Around 2PM, the girls headed over to Zepp DiverCity, for rehearsals! 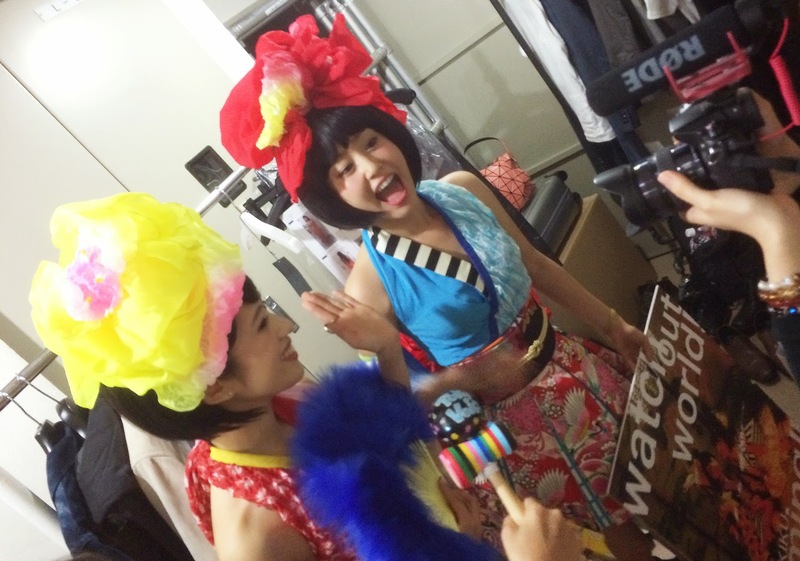 YANAKIKU shared dressing rooms with THE Possible! Soon as they got there, they got into some crunches! And the stage is huge!! 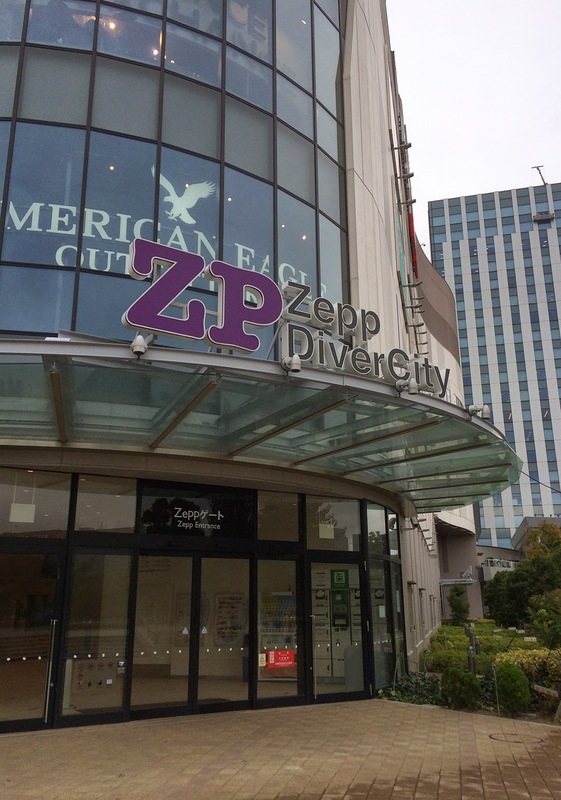 Why shouldn’t it be, it’s ZEPP! Since the showcase was intended to be a presentation for overseas buyers, the girls did it again! All the Mcing in English. All the tickets were won over by raffles, but we saw so many familiar faces in the crowd! It was you that helped us have such a successful night. It was all those warm smiles that helped us get over the nervousness. A big thank you to all the people that came out that night! Arigato!! 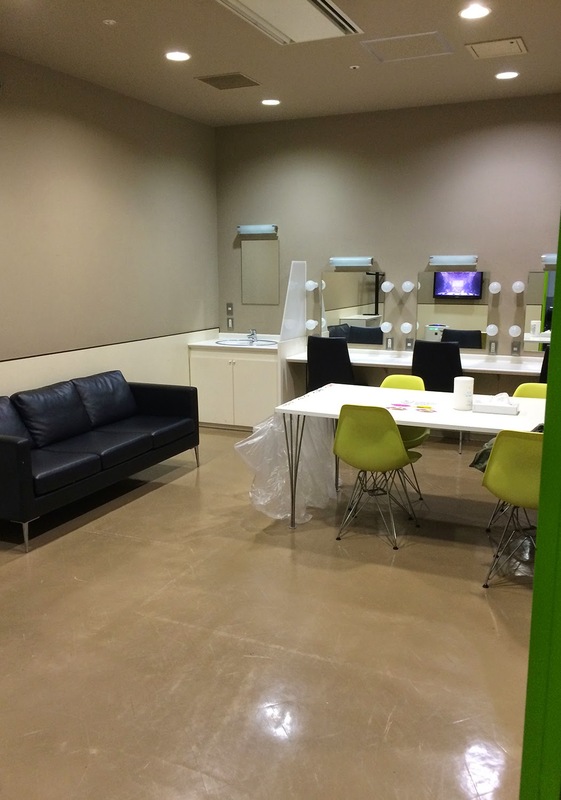 and our dressing room mates, THE Possible. 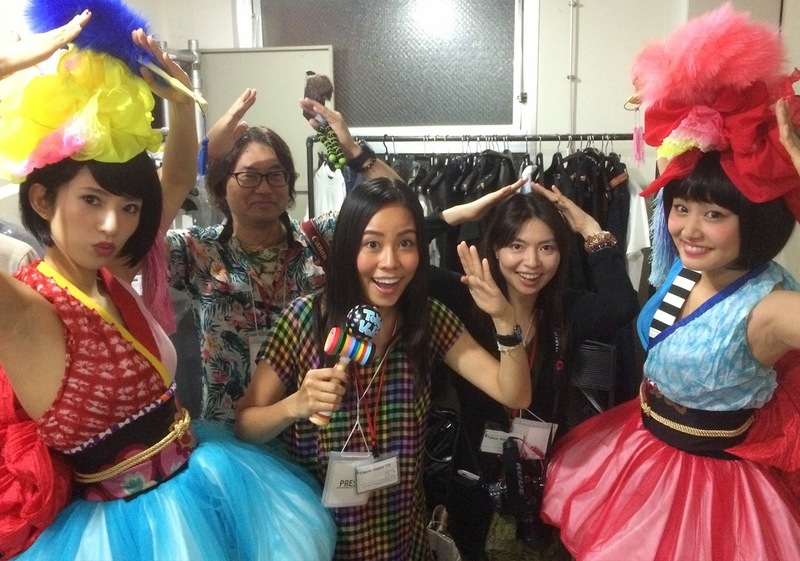 For the 2nd and 3rd day of the event, the girls spent time in their booth in Kimocos attire. to speak with a bunch of people from all over the globe. 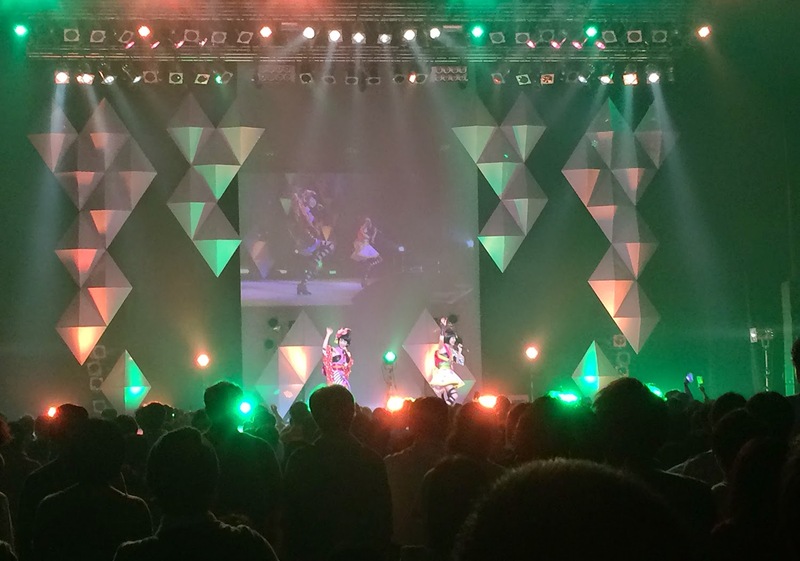 All three days of the event filled our hearts with hopes and more dreams. 2015 Here we come! May we go to even more countries next year to continue and share the wonders of Japan.